Should you be planning a trip, please be aware that at present the main route into Serre Chevalier from Grenoble via the Col du Lauteret is restricted due to a landslide at the Tunnel du Chambon. There is a relief road suitable for cars, and the new section of tunnel is under construction. It should reopen for the 2016/2017 ski season. For those driving before the winter, the Tunnel de Frejus will have reduced rates via the local tourist office which can be obtained by email. http://www.serre-chevalier.com/hiver/divers/pass-frejus-tunnel/ . More information on coach and rail services can be found on the Tourist Office website, pages have yet to be updated for the 2017 season, but we will update our own page here when we can. Driving is easy, via Calais or Dunkerque. The Autoroute d’Est is quiet, and you can make the journey in 10 hours from the Channel ports. Have lunch on the ferry, or choose Eurotunnel for a quick crossing and easy access to the autoroute (but see our warning about the tunnel du Chambon above). Best of all is an overnight stop on the journey, preventing tiredness and accidents. We have several favourites, many of which depend on where you start your journey in the UK. All of those we list are dog-friendly, some charge a small fee and some are free. It is probably best to stop in Northern France, a couple of hours away from the Channel. Reims and Epernay area are as good a place as any, and if you fancy it, you could even fit in a trip to a Champagne producer at the same time. Many of the hotels we book in this area, can be booked online via Logis de France . Our favourite and most regular stop is at the Auberge de Moissons in Matougues, near Chalons-en-Champagne, and less than 5 minutes drive from the autoroute. It has an excellent restaurant, with a great menu, and a fabulous cheese trolley. 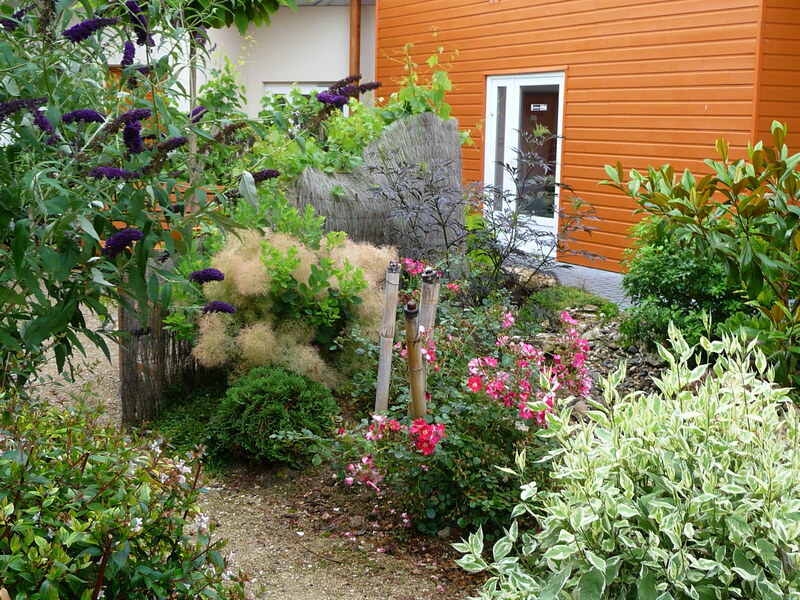 Rooms are arranged around a courtyard with a Japanese style garden . Hotel Bagatelle is a cheaper option in the Champagne village of Dizy, just outside of Epernay. The odd location at the back of a retail park shouldn’t put you off though. The restaurant is goodand reasonably priced with a great atmosphere, and large buffet tables for starters and desserts. A small coupe de champagne in the tiny bar doesn’t cost a fortune. Rooms are a little on the small side, but fine for an overnight stay. Hotel Bristol is in the centre of Reims, but is very convenient for the autoroute. There is underground parking at a reduced rate in the public car park. The bistro is very good, but don’t book the half-board option if you want to appreciate the cuisine. Oysters and mussels are a speciality. 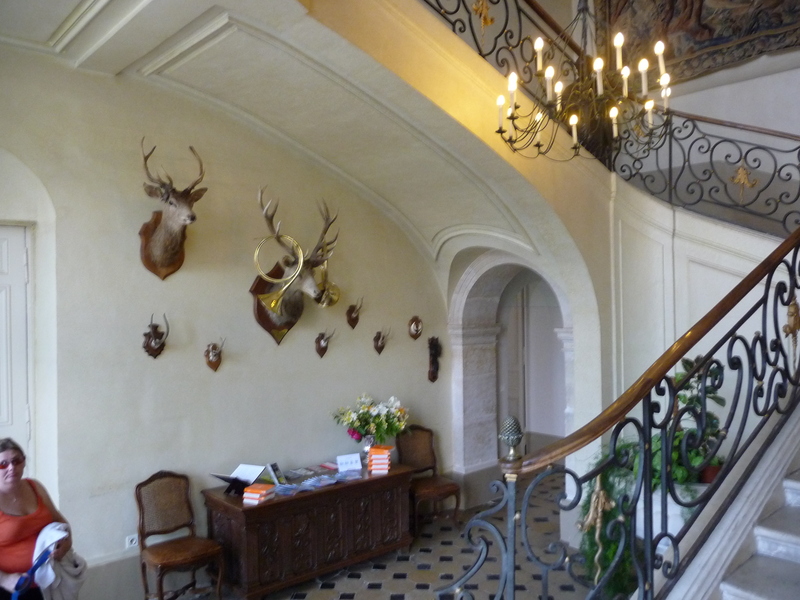 For a special occasion, such as a birthday or anniversary, a stay at the beautiful Chateau d’Etoges would be a good choice. With beautiful chateau rooms and a gourmet restaurant you can feel like a French noble, without the risk of being guillotined. The chateau is surrounded by a moat, with ducks and swans, and the grounds are great for a stroll before a gourmet dinner. Dogs welcome. Finally, we returned to the Hotel Les Berceaux in Epernay. We enjoyed a set dinner in the bistro 7 , although you can also eat in the Michelin star restaurant. Although there is no bar for the compulsory glass of champagne, there are several in the square at the end of the street, and you are just a short walk from the main champagne houses. Those of you wanting to just get your heads down and a quick start in the morning will find a large selection of French chain hotels close to many of the motorway exits. A stop around Dijon or Lyon seems to be the preferred option for many. Beaune and Nuits-St-George are both close to the autoroute, and have a good selection of hotels and restaurant. Recently we stayed in Beaune at the Hotel de La Paix just outside of the city walls, and close to several good restaurants. If you wish to stay closer to Lyon, the Hotel St Romain in Anse has beautiful rooms and a good restaurant. In the summer you can eat in the garden. We have some new hotel stops on our journey in July, so will keep you posted.